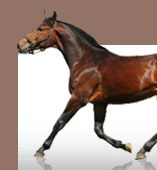 Male horses that are used by horse breeders are called stud horses. A stud horse is chosen by any number of possible factors, including size, speed, stamina, breed, bloodline, coloring, and temperament. These traits often dictate the price of horses for sale. Stud horses are usually strong male horses that have the desired traits of the foal. A stud horse is bred with a mare, and once she becomes pregnant she gestates for eleven months. Horse breeders will often optimize the time during the year when a mare and a stud horse will breed, allowing for a higher change of pregnancy. 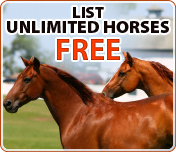 Horse breeders select stud horses with a great deal of care and though, so you can be sure that the stud horse selected is the right stud horse. Horse breeders know that breeding is not an exact science, but by selecting the appropriate stud horses, there is a higher chance that a foal will have the best traits of the stud horse.